Here is the cover artwork I created for the new EP by Planet Boelex, which is released today. I've been a fan of this well-respected Finnish musician for some time. It's hugely atmospheric and cinematic electronica that creates the perfect writing environment for me. So, it was a thrill to be asked to devise and produce the artwork to accompany this new release - in the style of my photomontage work on display in my Flickr gallery. Raja (pronounced like 'player') is Finnish, so I'm told, for boundary or limits. This was a project that certainly pushed me, and I recommend a listen to the EP. 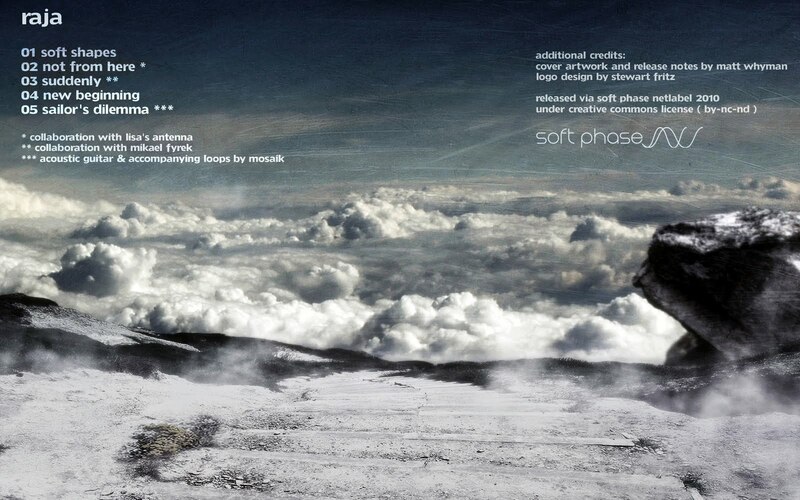 It's out on the Nordic netlabel, Softphase. Best of all, being wildly generous, Planet Boelex has made all tracks free to download. ... I think we can all see why I was drawn to check out the artist in the first place.